Lord of the Drinks (LOTD), a popular hangout place for the folks of Delhi and Mumbai, has now opened its doors to Puneites. After visiting their Hauz Khas outlet in Delhi, I was looking forward to gobble their delicious food in Pune and the place did not disappoint me. The Pune outlet is situated in the happening Kalyani Nagar area of the city. As the name suggests, LOTD serves an array of local and international cuisines and has a massive bar menu to choose from. The restaurant decor is urban and elegant, well furnished with wood and royal blue colour on its walls. Guests can choose either chairs or the more comfortable sofas near full-length windows overlooking the bustling main road below. The food and bar menu has a plethora of options, from authentic North Indian cuisine to Continental food along with some quirky bar food. 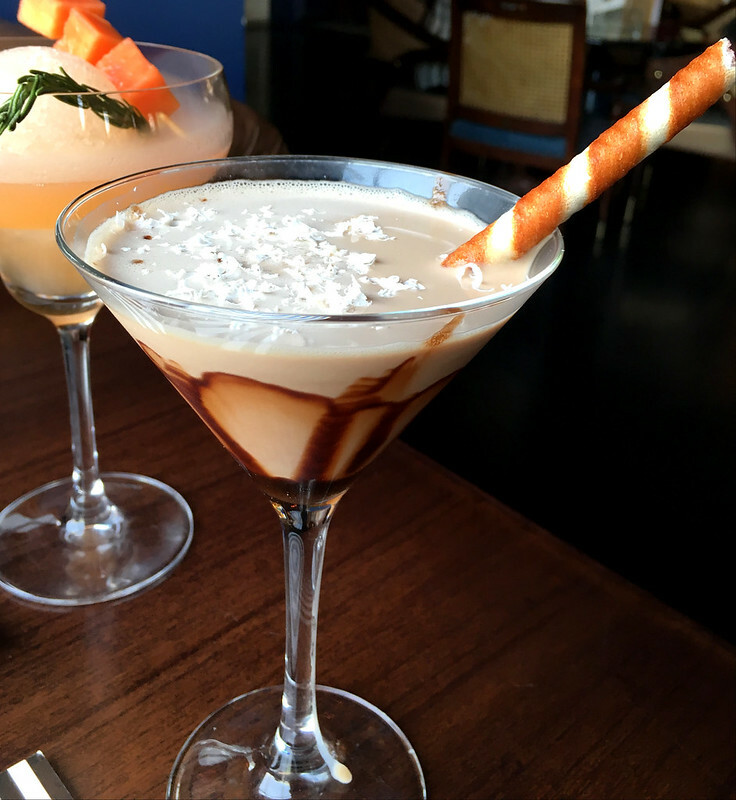 From the bar menu, we chose LOTD House Specials of Mint Papaya Rita and a very tempting Smoky Chocolate Martini. 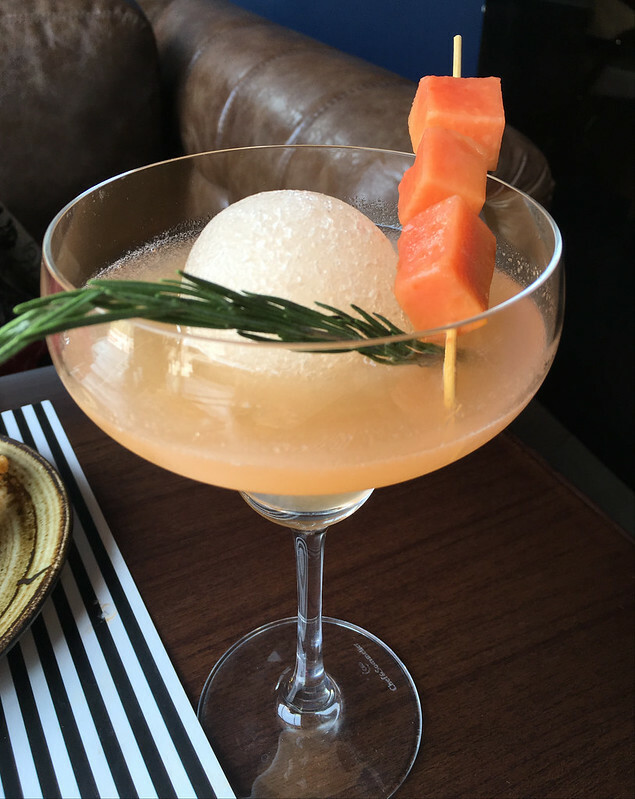 The unusual Mint Papaya Rita was made of fresh papaya juice with mint and a sour mix topped with tequila. It tasted refreshing in the summer heat. The Chocolate Martini had copious amounts of delicious homemade chocolate syrup with a combination of whiskey, vodka and Kahlua, and was served with a chocolate stick that transported me back to my childhood days. The LOTD bar menu is extensive and it includes house specials, classic cocktails, molecular cocktails, along with regular liquor options for those who do not wish to experiment with their drink. 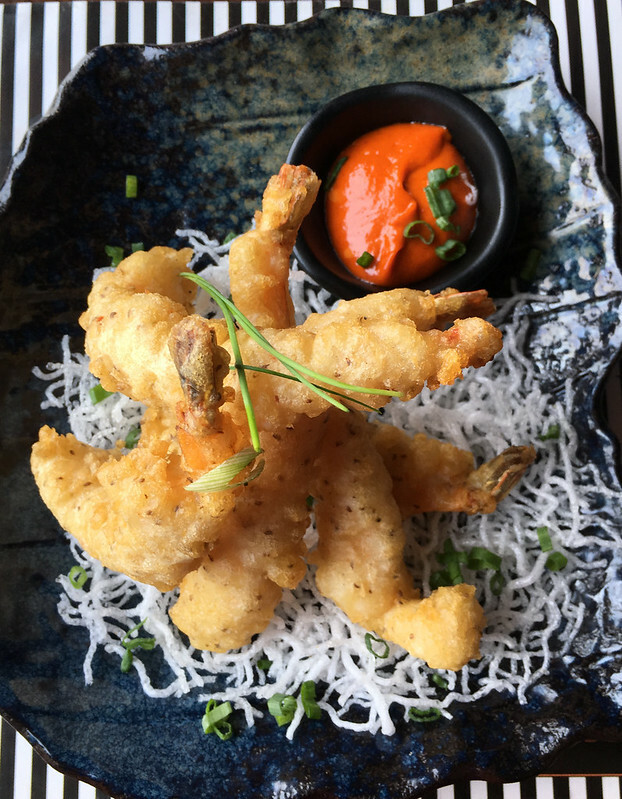 For appetisers, the chef recommended Ajwaini Tempura Prawns. Tempura, a Japanese speciality, has batter-fried vegetables or seafood. The crispy LOTD dish had an Indian twist with the addition of ajwain (carom seeds) mixed in the batter. The pungent taste of ajwain and the fresh prawns which also had galangal (spice used in traditional Asian cuisine), lemon and chilli cream was an instant hit. For vegetarians, Barbecued Dhokla Chaat, Tempered Ricotta Vada, Spring Rolls, among others, were pleasant surprises. 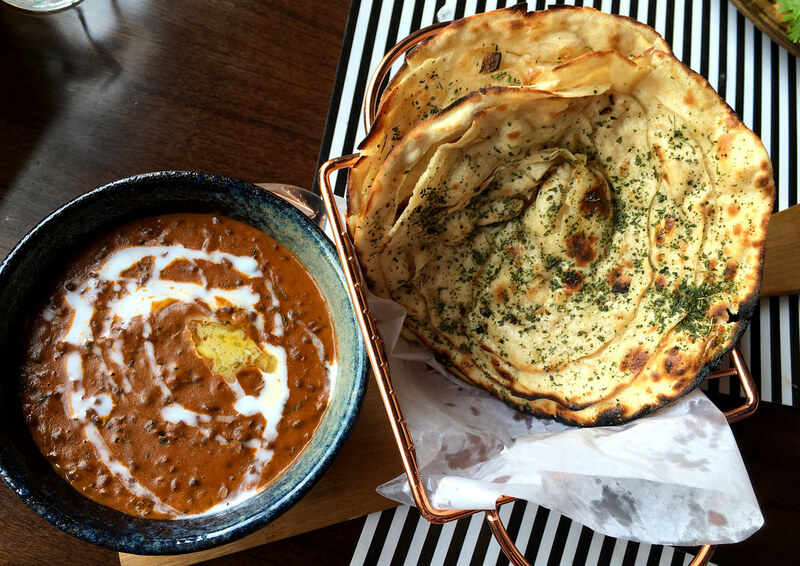 Moving to the main course, with a little assistance from the chef, we chose the very popular Lord’s Black Dal, which is LOTD’s version of Dal Makhani with Pudina Paratha. From the non-vegetarian menu, we ordered Pepper Pistachio Mutton Korma. Sounds intriguing, right? Well, it was delicious. The Dal Makhani reminded me of Delhi and the one served at LOTD is definitely the tastiest one I’ve had in Pune. Perfectly creamy, the dal served with two mini hot and fresh Pudina Paratha was a perfect lunch treat and the portion was sufficient for two. The mutton pieces in the Korma, unexpectedly, came with bones but they were big and almost had a melt-in-your-mouth tenderness. The Korma was a delicious mixture of spices, pepper and had an understated taste of pistachio which was rich and flavorsome. The Korma was served with two small parathas and the portion was quite filling for a couple. With a full tummy, we contemplated ordering desserts but the options were so tempting that we ended up requesting our server for a chef recommended Nutella Chocolate Panna Cotta! This delicious looking dessert came with a cherry on top and looking at the presentation we did not feel like slicing the Panna Cotta and taking a bite. But we could not resist the temptation and devoured the entire plate within minutes. Not too sweet, the dessert is a blessing for people who like to dig in but are calorie conscious. Other desserts include Tiramisu and Blueberry French Toast. LOTD with its stately decor is a wonderful place to spend your time with an array of drinks and food to choose from. 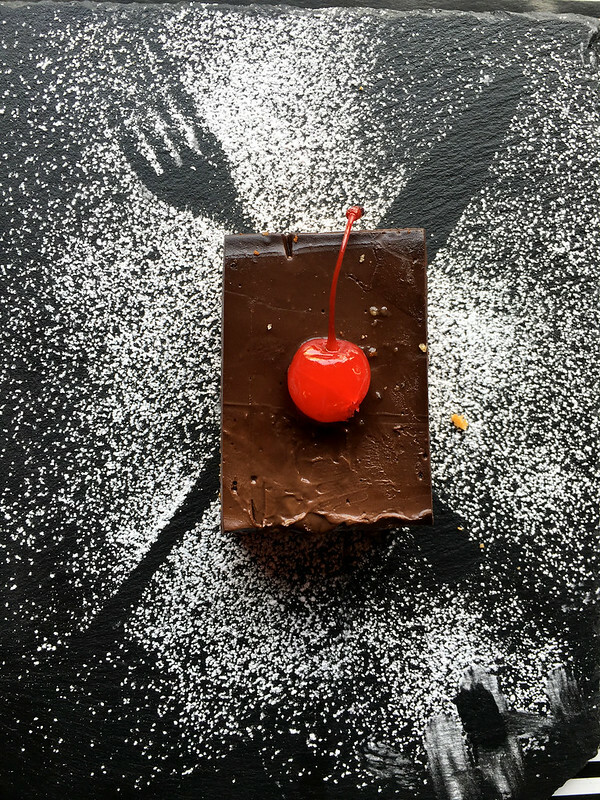 With an extensive food and bar menu, the best way to decide your order is to choose the chef’s recommendations which are marked on the menu card. Also, we must mention that LOTD loves families with kids and they are entertained on their rooftop section. And the restaurant though located in the busy Kalyani Nagar junction provides valet parking! Posted in Food LoveTagged food blogger pune, lord of the drinks, lord of the drinks in pune, lounges in pune, pune food, pune hangouts, tugging my luggageBookmark the permalink.